Land of Silence and Darkness is a movie that debuted in 1971. It’s original name is Land des Schweigens und der Dunkelheit. This movie was written and directed by Werner Herzog. It stars Fini Straubinger, Elsa Fehrer, and M. Baaske. The main character of the movie is Herzog, a blind and deaf woman. The fill follows her through numerous occasions as she sees with others in the deaf-blind community, discussing their battle to reside in today's world by making use of their handicaps. He shows their communicating with each other by way of a kind of sign language that uses taps and strokes on another man's palm. Herzog induces the audience to ponder exactly what the world will be like for someone, who cannot see or talk language. This movie evokes a deep sense of solitude and isolation during a few of its scenes. 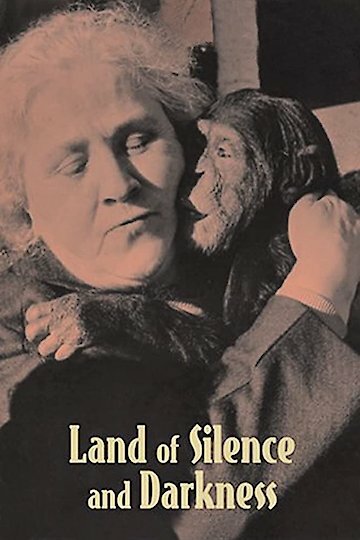 Land of Silence and Darkness is currently available to watch free on Tubi TV and stream, download, buy on demand at Amazon, Fandor, Vudu, iTunes online.